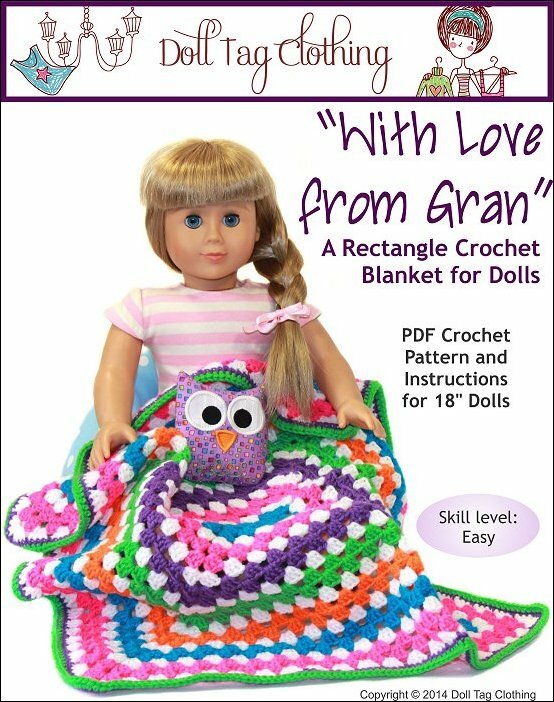 Crochet a rectangular blanket for your 18 inch doll. 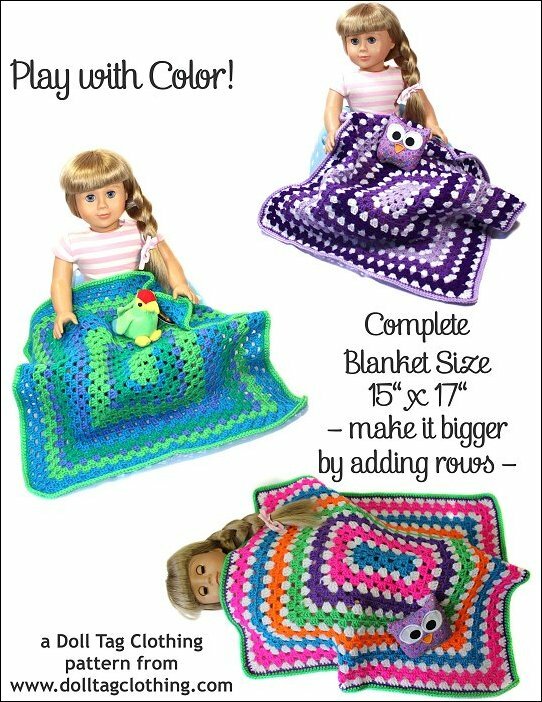 Change the amount of rows to adjust it to the size of your doll - Barbie to baby doll! 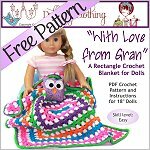 With Love from Gran Crochet Blanket comes with the following format(s) and is an instantly download after checking out.